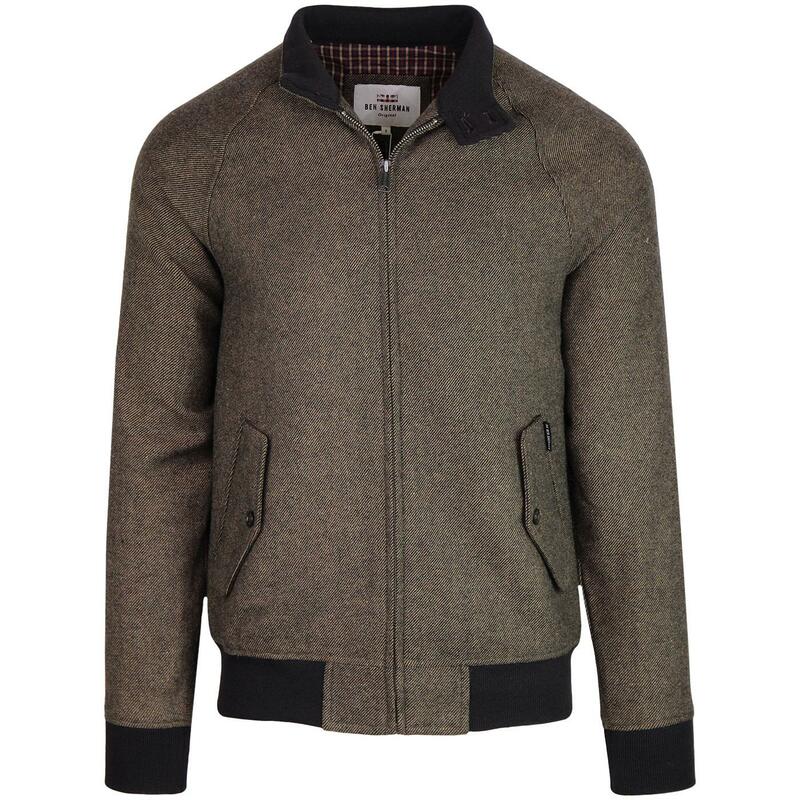 Ben Sherman men's 1960s mod wool harrington jacket in bark. The stylish vintage textured tweed shell gives the harrington jacket silhouette a smart and sophisticated look. Benefitting from the traditional mod harrington button down flap side pockets, double button collar stand and elasticated trims to the hem and cuffs. 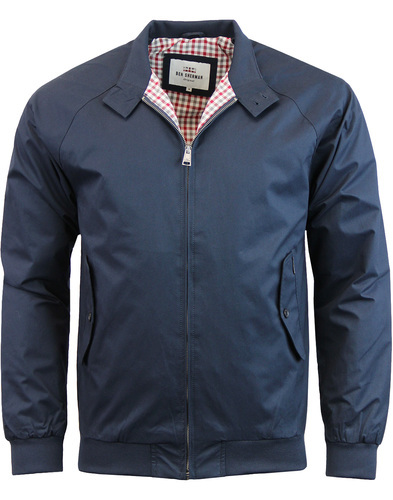 The jacket is expertly finished with a cool Ben Sherman house check lining in red. 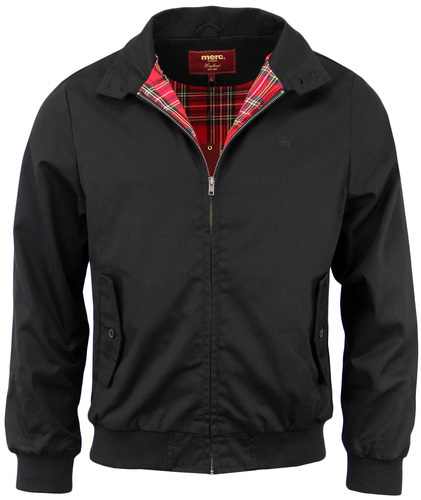 With it's warming wool bend construction, this is a perfect harrington for the colder months. 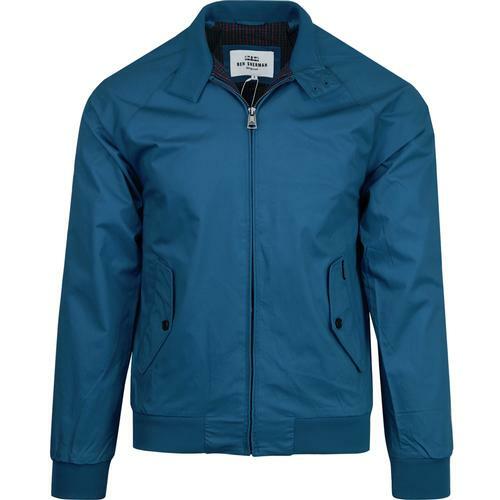 A Ben Sherman mod outerwear classic. 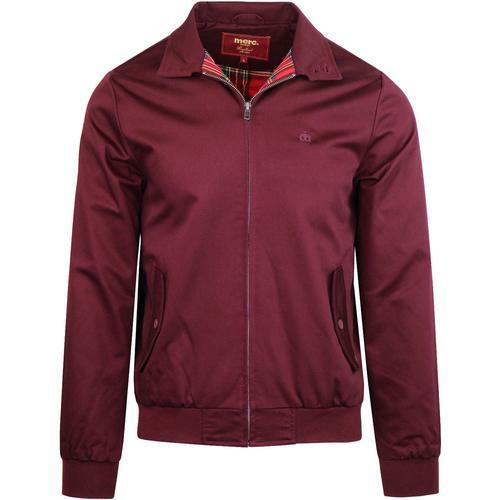 Ben Sherman men's 60s mod wool harrington jacket in bark. Retro ribbed cuffs and hem. Zip through fasten with discreet concealed zip. SKU: 0050752 391 Wool Harrington Jacket. Composition: Shell: 42% wool, 35% acrylic, 19% polyester, 3% cotton, 1% nylon. Body and sleeve lining: 100% polyester.